The workshop will enable the researchers, both current and aspiring, to get familiarized with the latest developments in the methodology of Data Envelopment Analysis (DEA). 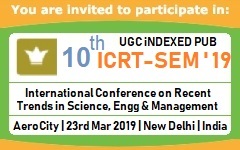 This workshop will be conducted in a highly interactive manner, with greater emphasis on giving participants hands-on experience in handling, analyzing and interpreting different datasets. The course content will be delivered by the well-known subject expert Dr. Biresh K Sahoo of Xavier Institute of Management, Bhubaneswar.This workshop will provide participants an opportunity to learn the foundations of DEA and its applications to tackle the broader problems faced by modern society.